On Friday, 20th April association of management consultants of Serbia ( upks – Udruzenje poslovnih konsultanata) was awarded a certificate confirming the membership of the international council of management consultants institutes (ICMCI). Becoming a 51st ICMCI member, our association received a certificate for the development of consalting industry and for commitment, respect and promotion of the highest internationally recognized standards in the field of management consulting. 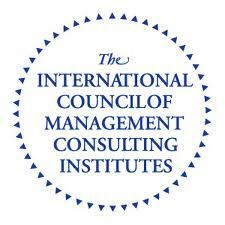 ICMCI organization brings together the most prominent association of business consultants around the world. ICMCI also issues CMC certificates which are the only internationally recognized brand designed for individual business advisers. UPKS from its inception 2009th year, up to now achieved significant results in this field, mainly through the implementation of CMC certification. Because of the insistence on high professional standards, UPKS is recognized as a partner of the ICMCI, so at the January 2013th our association will begin its own program of certification of individual business associates. Later that day there was a UPKS assembly election and i was elected as president of UPKS assembly for the two year mandate (2012-2014).